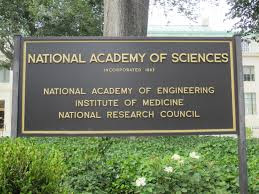 Coming in at over 200 pages, today’s National Academy of Sciences (NAS) report, 'Gene Drives on the Horizon’ is weighty but disappointing. It fails to properly address three of the most pressing issues raised by the controversial new technology of CRISPR-CAS9 gene drives. Dubbed, the ‘mutagenic chain reaction’ by its inventors, RNA-guided gene drives are a high-leverage synthetic biology technology invented only last year. They are designed to relentlessly drive a specific genetic trait through an entire species or population - potentially driving species to extinction. This capability to reshape entire natural populations and ecosystems raises significant threats to peace, biodiversity and food security which is why a high profile study of this kind was mobilized in such record time. Yet, inexplicably the NAS’s report entirely fails to address the problems that will follow from agricultural commercialization of the technology and gives short shrift to the military and security implications of gene drive development. Since commercialization, food security and militarization are among the most explosive issues raised by these developments, their near absence in the report is puzzling. The NAS study was co-funded by DARPA (a US military agency) and the Bill and Melinda Gates Foundation (a global agricultural funder). Both institutions are heavily invested in gene drive research. Who’s going to eat whose lunch … the Hardware Grunts or the Software Gurus? The Battle for the control of agricultural inputs is just beginning. Time for a “Kickboxer” Campaign? Bayer’s $62 billion bid for Monsanto, as of this writing, has been rejected, but both parties say they are continuing to negotiate. That the “Joy of Six” agricultural input companies may soon become a ménage à trois has been a matter of speculation in ETC Group since mid-2014. If (and it is a big “if”) the marriages of Dow with DuPont, ChemChina with Syngenta, and Bayer with Monsanto are consummated, the only wallflower left on the dance floor, BASF, will either have to hook up or give up. Agriculture is, relatively speaking, small potatoes for the German chemical giant, but, still, it brought home $7.2 billion in crop chemical sales in 2014 and commands a hefty 11.5% of the global pesticide market. Although BASF invests in plant breeding and breeding technologies, it doesn’t directly sell seeds. Instead, the company collaborates on R&D all along the food chain – with Monsanto (developing GMO traits), with Yara (producing ammonia for fertilizers), with synbio company Evolva (developing biosynthetic pesticides), with Cargill (developing oils high in omega-3), with Deere & Co. (selling crop insurance, precision agriculture) – and it has cross-licensing deals with major seed companies including Monsanto, DuPont and Dow. 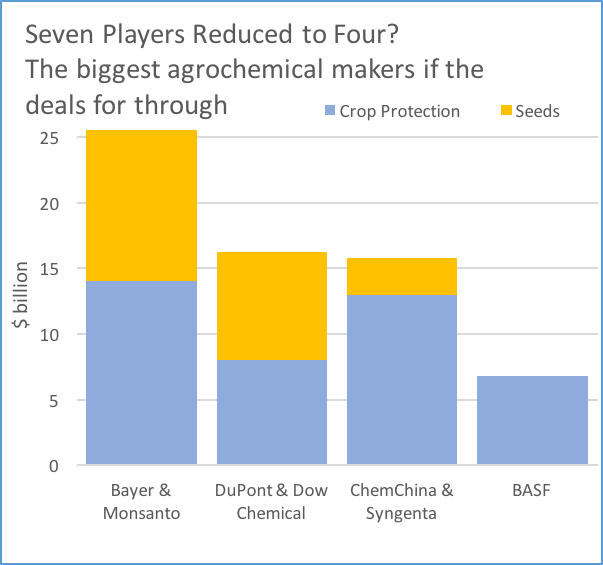 BASF could give Bayer a run for its money wooing Monsanto, or it may decide its dance card is full enough. Or, the company may choose to spin off its Plant Science business altogether. If so, one of the top three farm machinery companies could be a buyer: Deere & Co., CNH or AGCO (in order of sales). BRATTLEBORO — The Vermont Attorney General's Office is asking a federal judge to force Syngenta Corporation and Dupont to turn over internal studies relating to the safety of genetically modified organisms. The state is asking the manufacturers of genetically engineered seeds — such as DuPont, Syngenta, Dow, Monsanto and Bayer — to turn over any studies conducted into the health and environmental impacts of those products and the producers of foods containing GE ingredients — such as Frito-Lay, Kellog's and ConAgra — to release consumer surveys to see if these companies know what their consumers think when they see the word "natural." Para el doctor John Fernández Van Cleve, rector del Recinto Universitario de Mayagüez (RUM), el hecho de que Monsanto forme parte de un acuerdo colaborativo con esa institución no representa algo negativo. Al contrario. Para el académico, este tipo de empresas dedicadas a la biotecnología agrícola en la Isla y otros países del mundo son consistentes con la misión de la Universidad de Puerto Rico y el perfil profesional que el país y el mundo necesita. WASHINGTON, D.C. – Today, Senate Agriculture Committee Chairman Pat Roberts (R-KS) and Ranking Member Debbie Stabenow (D-MI) announced a deal on legislation related to genetically engineered ingredients, or GMOs. The new bill would nullify state laws requiring clear, on-package labeling of food with GMOs and replace them with an ineffective national standard to be set two years from now by the U.S. Department of Agriculture (USDA). When we last reported on the situation with GMOs in the southern Mexican states of Campeche, Quintana Roo, and Yucatán, there were many reasons to celebrate since a federal judge had overturned the approval of GMO soy plantings in this region as a threat to the indigenous beekeepers of the region (see our posts of March 16 2014and July 24, 2014). You would think this was a clear victory. It apparently is not. This is, after all, Mexico, a place where the state of economic exception remains just as brutal and anti-indigenous as always. Here is the problem: While the courts have ruled that consultation with indigenous peoples is required as part of the process for reviewing permits for GMO crops, the planting of transgenic soybean (and maize) apparently continue unabated, without the proper legal permissions and in defiance of standing federal court orders prohibiting transgenic crops until the indigenous consultation process runs its course, and then presumably only if there is indigenous consent. I am posting a report from the Mexican site, Desinforménos, that discusses the current situation in the peninsular Mexican state of Campeche. 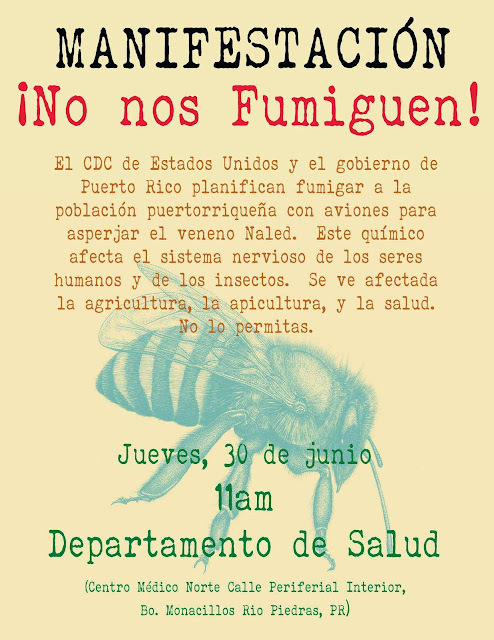 It is vital that nonGMO movement activists remain aware of and engaged with the continuing indigenous struggle against transgenic soybeans which remain an active threat to bees and beekeepers. This struggle is far from over and if we disengage and take the pressure off, then the Mayan beekeepers struggles will have been for naught. The translation is mine. l 10 de mayo de 2016, Día de la Madre, una reunión secreta de 150 científicos, abogados y empresarios en la Universidad de Harvard comenzó a considerar la creación de un genoma humano totalmente sintético, un ser humano sin madre ni padre. La construcción se haría a partir de los químicos esenciales que componen el ADN (citosina, guanina, timina, adenina o C,G,T,A) y computadoras que sintetizan secuencias genéticas usando como programa la información de mapas genómicos, muchos de los cuales están en Internet. El proceso no es tan simple como podría parecer, pero los medios técnicos avanzan rápidamente. Los que llamaron a la reunión –que no iba a ser conocida por público ni prensa– afirmaban en su convocatoria que es necesario crear un ambiente de competencia, un gran desafío , para captar fondos de inversionistas privados y públicos y acelerar el desarrollo de las tecnologías que harían posible esta construcción. Genes dirigidos a engañar la evolución natural que pueden extinguir especies enteras. No son transgénicos solamente, se trata de ingeniería de ecosistemas y poblaciones enteras. La técnica se inventó el año pasado pero ya está en la polémica mundial, para algunos por los altos riesgos que conlleva, para otros –las trasnacionales de agronegocios, farmacéuticas, biotecnología y defensa– por los negocios que avizoran. Los conductores genéticos (gene drives en inglés) son una forma de burlar leyes naturales de la herencia y forzar a que los genes introducidos se traspasen a toda una población. Si son genes que inhabilitan la especie, es un método de extinguirla. Las especies que se reproducen sexualmente –plantas, animales, humanos– heredan 50/50 genes de cada progenitor, algunos dominantes, otros recesivos que en próximas generaciones tienden a desaparecer. Con conductores genéticos –que se construyen usando la técnica de biología sintética CRISPR/Cas9– los genes insertados llevan la instrucción de eliminar el gen correspondiente del otro progenitor no modificado, trasmitiéndose en 100 por ciento a la progenie. Repiten el acto en cada cruza, por lo que en pocas generaciones están en toda la población. Sus creadores lo llaman reacción mutagénica en cadena. En experimentos con mosquitos y moscas en la Universidad de California en 2015, en dos generaciones el gen modificado estaba en 97 por ciento de la población, contra 37 por ciento y tendencia a disminuir, sin usar conductores genéticos. Esto causó que Kevin Esvelt, inventor de la técnica, llamara a una moratoria a su liberación y a un amplio debate público sobre la misma, ya que significa modificar especies completas para siempre. Otros que usan la misma tecnología no tienen esos escrúpulos. Publicaron sus experimentos como algo fantástico que según ellos podría terminar con especies dañinas, plagas, vectores de enfermedades, etcétera. Hay muchos problemas con esta visión mecanicista de la naturaleza y las enfermedades. Por ejemplo, ¿quién define qué es dañino o plaga? Para la agricultura industrial todo lo que esté vivo en un campo, menos el cultivo que se quiere cosechar, es dañino. ¿Qué consecuencias tiene la eliminación de una especie entera de un ecosistema que ha coevolucionado con ella, o incluso la ha favorecido en reacción a otros desequilibrios? ¿Qué pasa con otros organismos que se alimentan de esa especie? En el caso que pudieran eliminar insectos vectores de enfermedad, está ampliamente demostrado que si las causas y ambiente de una enfermedad persisten, encontrará otros vectores de trasmisión que podrían incluso ser peores. Podría inducir la mutación más rápida de los agentes infecciosos. Además de la arbitrariedad de que un grupo de técnicos o empresas se arroguen el derecho de eliminar o modificar irreversiblemente especies y ecosistemas. Los transgénicos de cultivos ya contaminan y son un problema, pero hay que plantarlos cada estación, y las plantas no modificadas conservan sus defensas naturales. El 8 de junio 2016, la Academia Nacional de Ciencias de Estados Unidos publicó un extenso informe sobre conductores genéticos, en forma extraordinariamente rápida para sus estándares. Entre sus principales conclusiones afirman que la tecnología no se debe liberar al ambiente, porque no hay suficiente conocimiento sobre sus impactos, que serían muy significativos. Señalan que están diseñados para modificar intencionalmente especies silvestres y que su acción será inevitablemente transfronteriza. Por los impactos en biodiversidad, llaman a consultar y escuchar al público y comunidades, incluyendo consideraciones éticas y no técnicas, ya que serían modificaciones irreversibles de amplio alcance. Pese a sus propios argumentos, abren la posibilidad de experimentar, pero en laboratorio, con normas de confinamiento de extrema seguridad, inclusive en islas. La tecnología podría usarse para desequilibrar ecosistemas, exterminar cultivos, enfermar o debilitar poblaciones humanas. Podría dirigirse, por ejemplo, a reconocer y modificar microbiomas humanos, que son específicos a cada individuo pero comunes en muchos elementos al área donde viven. La Convención de Armas Biológicas ya comenzó a discutir las implicaciones de los conductores genéticos. Es también una tecnología que podría modificar el ambiente de forma irreversible, por lo que debe tratarse en ENMOD, la Convención de Naciones Unidas que prohíbe la modificación ambiental con fines hostiles. 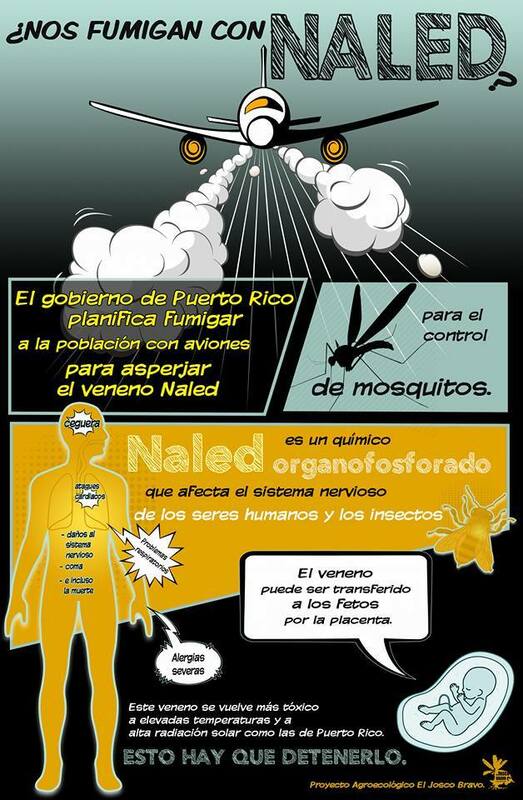 Pese a que la presentan como cura para enfermedades, la patente WO2015105928 sobre conductores genéticos, otorgada a la Universidad de Harvard, cubre el uso en 50 hierbas para hacerlas susceptibles a más de 200 agrotóxicos, lo cual es de gran interés para las trasnacionales de transgénicos, como Monsanto y Syngenta, que han tenido que cambiar sus semillas porque las plantas que consideran malezas se adaptan a sus venenos e invaden los cultivos. El estudio menciona específicamente una especie de amaranto y el riesgo de que si se elimina esa variedad, el gen conducido podría pasarse a las especies de amaranto que se usan para consumo. Por los enormes peligros al ambiente, biodiversidad, salud, alimentación, económicos, bélicos, urge establecer una moratoria internacional contra toda liberación de conductores genéticos. El Convenio de Diversidad Biológica, que se reúne en Cancún en diciembre (CDB Cop13), ya tiene en su agenda la biología sintética y debe tomar esa importante decisión. ...la consolidación del neoliberalismo global se ha visto acompañada por la generalización de negocios que usan a la ciencia como su fuente fundamental de legitimación. Muchos de ellos venden promesas sustentadas en supuesto conocimiento científico. Estamos orgullosos del trabajo que hacemos y nos interesa que la gente conozca más sobre nosotros”, dijo a través de declaraciones escritas. 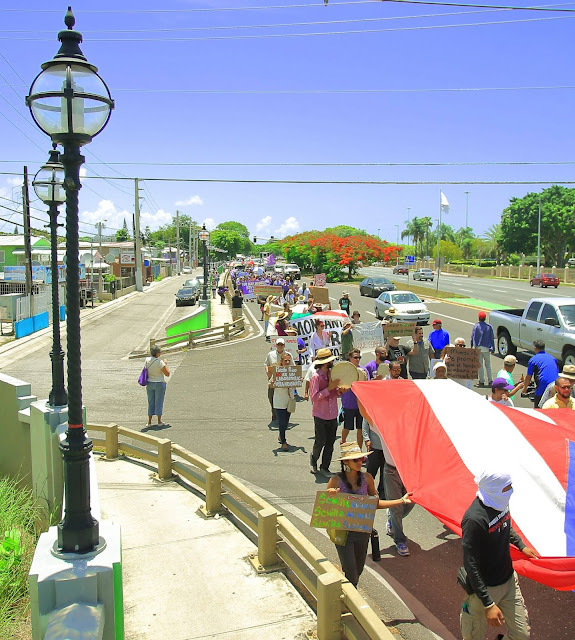 La filial puertorriqueña de la transnacional Monsanto reaccionó a la marcha efectuada hoy en Ponce en contra de la industria estadounidense productora de agroquímicos y biotecnología. En un comunicado escrito, Monsanto señala que “los cerca de 22 mil personas que trabajan para Monsanto en todo el mundo tienen el compromiso de sostener un diálogo abierto sobre la comida y la agricultura, porque estamos orgullosos del trabajo que hacemos y nos interesa que la gente conozca más sobre nosotros”. “También estamos orgullosos de nuestra colaboración con los agricultores y otras organizaciones aliadas que ayudan a hacer accesible una dieta más balanceada para todos. Nuestra meta es ayudar a los agricultores a realizar su trabajo de una forma más sostenible, utilizando menos recursos y teniendo un impacto menor sobre el ambiente”, agrega el escrito. 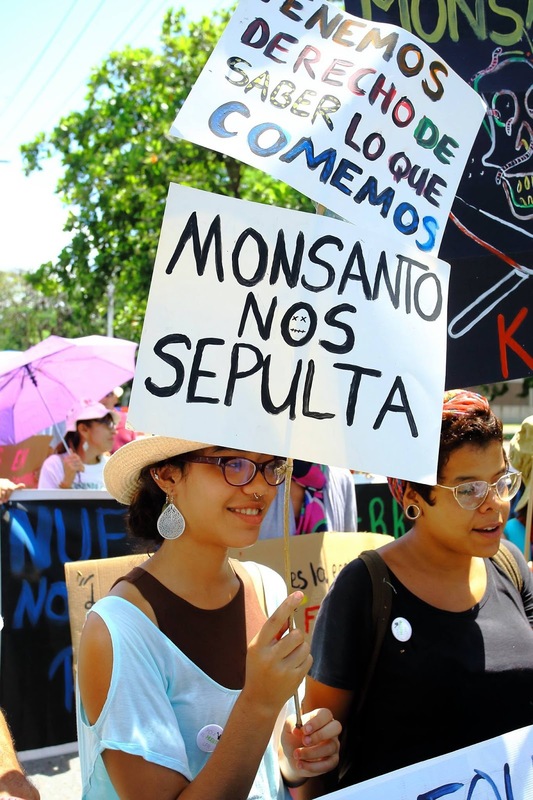 Acerca de la seguridad de los organismos genéticamente modificados (OGM), Monsanto dice que “nos preocupamos mucho por la calidad y seguridad de los alimentos que comemos, y estamos comprometidos con el desarrollo de productos que contribuyen a la elección de alimentos inocuos y nutritivos. La seguridad es nuestra prioridad principal, y realizamos pruebas rigurosas y completas sobre todos y cada uno de nuestros productos”. De hecho, indica, “las semillas genéticamente modificados se han investigado más que cualquier otra semilla en la historia de la agricultura, sin evidencia de daño a los seres humanos o animales. Los organismos reguladores, organizaciones científicas y las principales asociaciones de salud en todo el mundo están de acuerdo en que los alimentos GM son tan seguros como cualquier otro alimento”, asegura. En cuanto a la etiquetación de alimentos, dice que no se oponen a la etiquetación, pero consideran “que un conjunto de leyes de etiquetación por estado creará confusión e incertidumbre en los consumidores, además de obligarlos a pagar más por los alimentos que necesitan”. Y sobre la seguridad del glifosato, Monsanto reitera que “los herbicidas a base de glifosato son avalados por una de las bases de datos más extensas sobre la salud humana, la seguridad y el medio ambiente jamás compiladas en todo el mundo para un producto pesticida”. “Estudios toxicológicos exhaustivos repetidos en los últimos 40 años han demostrado, una y otra vez, que el glifosato no representa ningún riesgo irrazonable a las personas, el medio ambiente o los animales domésticos cuando se utiliza según las indicaciones en la etiqueta”. ¿Qué tienen que ver el TPP y el TTIP con los transgénicos? Esta fue una respuesta mundial coordinada de ciudadanos y de organizaciones campesinas y académicas comprometidas socialmente, en oposición a la ofensiva desatada por las transnacionales en los más diversos frentes: En el Congreso de los EEUU, en los informes “científicos”, en las instituciones latinoamericanas, y desde luego en los megaproyectos comerciales como son el Acuerdo de Asociación Transpacífico (TPP) y el Acuerdo de Asociación Transatlántico para el Comercio y la Inversión (TTIP). Después que el estado de Vermont, base del Senador demócrata Bernie Sanders, aprobó en 2014, una ley de etiquetado obligatoriopara alimentos conteniendo transgénicos, le siguieron los estados de Connecticut y Maine, así que todo el año pasado los esfuerzos de los cabilderos se volcaron tratando de evitar que el ejemplo cundiera en otros estados.